When I was in college, I got a payday loan. I needed $200 to pay my rent while I waited for my first paycheck from a new job. Instead of phoning my folks, I went to the payday loan place, armed with my bank statement. I got the payday loan, and was told that I needed to write a check for $220. The extra $20 was the fee. After two weeks, the check was cashed. I never went back. Payday loans can come with annual interest rates in excess of 300%. In my case, if I assumed simple interest, my college payday loan came with a 240% annual interest rate. (If I had extended the loan for another two weeks, it would have been another $20.) Even in states where payday loan rates are capped, you still might pay 36% or more. That kind of interest rate can quickly drain your wealth as you pay it someone else, rather than putting the interest to work for you. The ease of renewal is another reason to avoid payday loans. It is so easy to get trapped in the payday loan cycle of debt. All I had to do to renew my payday loan was to go in and pay another $20 before the check was cashed. It seems preferable to pay $20 instead of allowing $220 to be taken out of my account. However, if I paid $40 every two weeks, in five months, I would have paid $200 — and still had my entire $200 principal left to pay. Pretty soon, you are in a cycle in which you just keep making the smaller payments to renew, but never make progress on your actual debt. The types of credit that you have count when it comes to your credit score. Indeed, a payday loan has more of a negative impact on your credit score than an auto loan or a major credit card. You might not see a huge drop in your credit score when you get a payday loan, but you could see enough of a problem to cost you later. Plus, a lot of little dings can add up to big drops eventually. Chances are that you have other options. I should have called my parents. When I had a bit of a money mess last summer, I called my parents; no payday loans for me this time. They gave me a loan of $500 for two weeks — and didn’t charge interest. Even if they had charged interest, it would have been much less than the rate charged at a payday loan place. 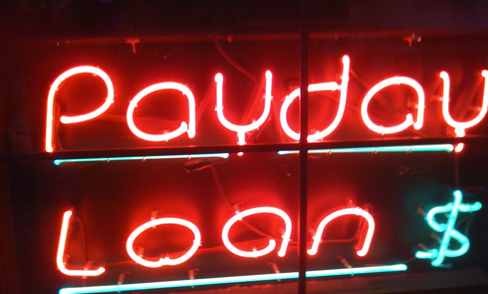 Friends and family, credit cards and even personal bank loans are items preferable to payday loans. If you have any other option, you should take it before getting a payday loan. Miranda, good post and 4 good reasons to avoid Payday loans. I’ve written about them in the past and did a detailed evaluation on why they charge what they do. Funny thing is, the default rate is high and the companies end up NOT making an enormous profit. Seems like a good business to avoid. I would agree that in most cases they should be avoided, but i think for some people who live check to check they might helpful in some situations. There really aren’t a whole lot of options for people that need to borrow a few hundred dollars. So if someone needs to pay bills urgently and are expecting a check in a week or two that will be able to cover the principle, it can help with cash flow problems. I think the main problem with cash advances is that people don’t understand the interest rates and get stuck in a situation where they are paying more than expected. My good friend is the manager at a Pay Day Loan place and I found out the interest rates on these loans is outrageous! It’s true, as well, that you may be spending more than you realize in interest rates if you are relying on your credit cards to pay bills and buy necessities – definitely two areas to avoid relying on a whole lot and to get deeper in debt. In many situations, same day cash loan is a better payday loan alternative. Admittedly, in some situations, a payday loan can be better than same day cash loan. However, your bad credit score can act as a barrier.